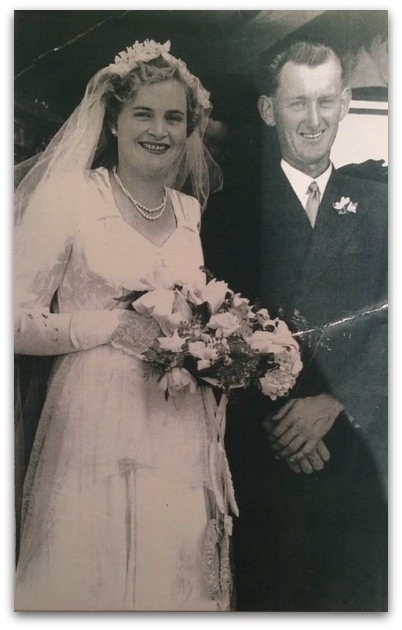 Can you help Cassandra find her Grandma’s wedding dress? It was accidently donated to the Salvos Store on St Georges Rd, Shepparton a few weeks ago after Frances began reorganising, she laid the dresses out with other items that were later donated. Cassandra tells us the Salvos store “couldn’t have been any more helpful but unfortunately haven’t had any luck in recovering them”. 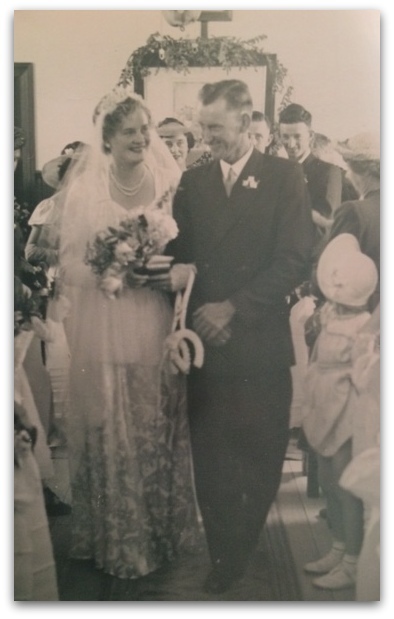 The beautiful 1951 brocade satin and lace wedding dress that was accidently donated was handmade by her own mother for her wedding to her late husband Ken 64 years ago. It was also worn by one of her nieces at their wedding. The mistake was discovered when Cassandra visited Frances in North Shepparton to pick up the dress to hopefully incorporate some of the lace into her own dress for her upcoming wedding. 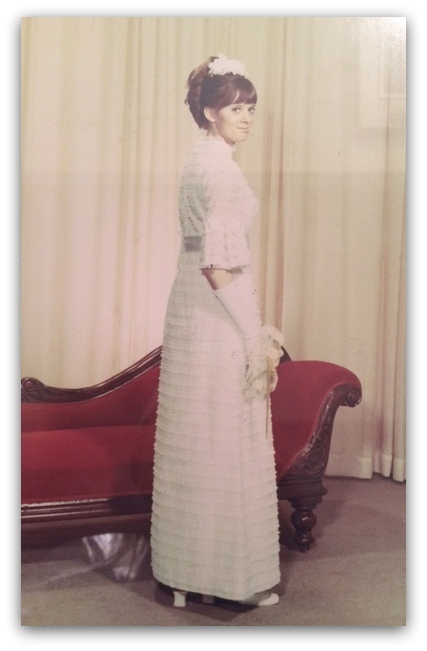 Cassandra’s mothers long 1970’s deb ball dress pictured below was also donated in error. It is white with a high neck and flared elbow-length sleeves and a blush sash. Both dresses have huge sentimental value to the family and they are happy to buy them back. The once white dress is now a little discoloured and yellowed with age. Cassandra’s own wedding is in March so the hunt is now on to find the wedding dress to help fulfil her dream of incorporating her Grandmas lace onto her gown. If you have seen it please get in touch with me here it would be great to see both these dresses returned.